In this modern world, people bother less and less with traditions, which is not surprising considering that we prize science, logic and reason above everything. And while it’s certainly nice to be able to explain natural phenomena without resorting to supernatural mumbo-jumbo, some traditions, no matter how unreasonable they might seem, are worth preserving. Customs and traditions are part of a culture, and they are the ‘spice’ that make it unique. Ireland is the best example that shows that traditions need not be forgotten in a modern world. No matter how much technology has advanced in the past century, the Irish prize theirs customs and we can safely assume that they won’t be forgotten anytime soon. So why should you care about Irish traditions? Well, first of all, because they can make your visit to Ireland all the more interesting. Being aware of certain local customs can not only help you make friends easier (talking about fairies in the pub with the local wise-man can surely earn you a few points), and your trip will have that certain personal, unique flavor. So let’s take a look at some of the most important Irish customs throughout the year. The first thing that you should know is that in the countryside, the old Celtic festivals like Samhain, Yule or Beltaine are still celebrated in one form or another. Of course, everything is more or less symbolic, and very few people believe the old folk legends, but celebrating the cultural heritage gives people a welcome sense of community. 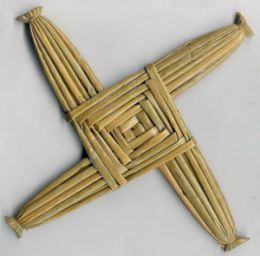 The first major celebration of the year is Saint Brigid’s day on January 31, when traditionally young girls used to make Saint Brigid crosses out of rush, which symbolized the goddess Brigid (or Saint Brigid, according to Christian traditions), and would gather in a house waiting for young men to visit them. The crosses are still made by some people today, but the main part of this holiday nowadays is the drinking (after all, Saint Brigid was the one who invented ale). 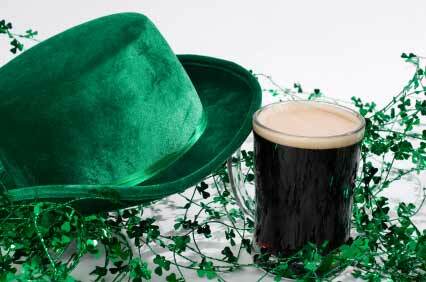 Saint Patrick’s Day is the Irish holiday that everyone knows about and loves. Contrary to popular belief, it is not merely an occasion to get drunk and wear shamrocks pinned to their clothes (wearing green and drinking green beer is done only in the US, but not in Ireland, at least not traditionally), but also to celebrate Christianity (St. Patrick was the one who brought Christianity to Ireland). Shrove Tuesday is probably the most delicious of all the Irish holidays. It is called Pancake Tuesday, and predictably enough, it is celebrated by eating pancakes. 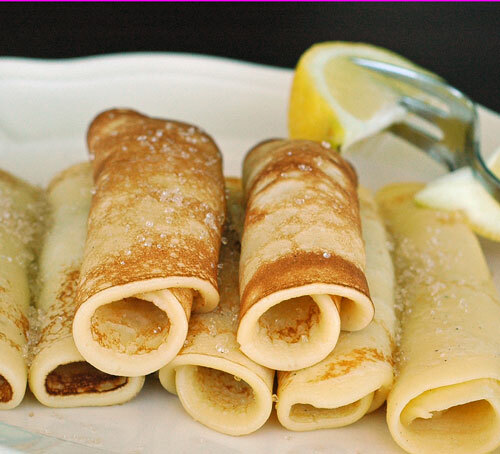 Pubs and restaurants have special pancake menus, and while traditionally they were eaten without any topping, or with some sugar and lemon juice, all your pancake fantasies can come true on this day. Beltaine, traditionally celebrated on May 1, is not that fashionable nowadays, but in smaller villages it is still celebrated. Bonfires are made and there’s general drinking, dancing and revelry, and the power of the fair folk was said to be the strongest during this day. Butter made on Beltaine was said to be the best butter of the year, and medicinal plants picked in the morning were thought to be especially potent. Oh, and don’t go out on the night of Beltaine, because it is supposedly dangerous, and wearing your shirt or coat inside out is a good measure of protection against the pranks of the good folk. This is just a small taste of the variety of traditions and customs that you can encounter in Ireland. Out advice is to simply observe and ask the locals, they will be more than happy to enlighten you.